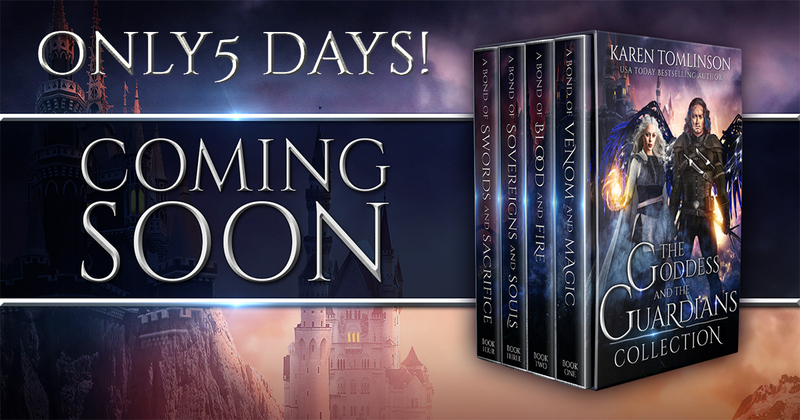 The Goddess and the Guardians complete romantic fantasy boxset releases soon! 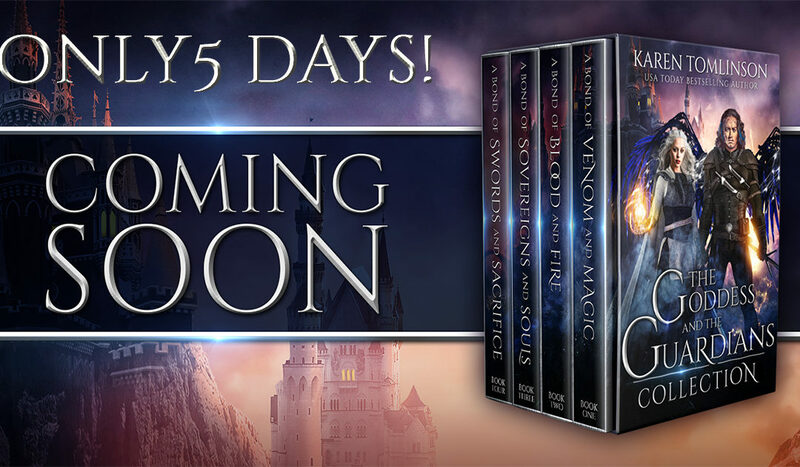 If you haven’t read this series and love your fantasy series complete and ready to dive into then grab your copy on Amazon for only 0.99! 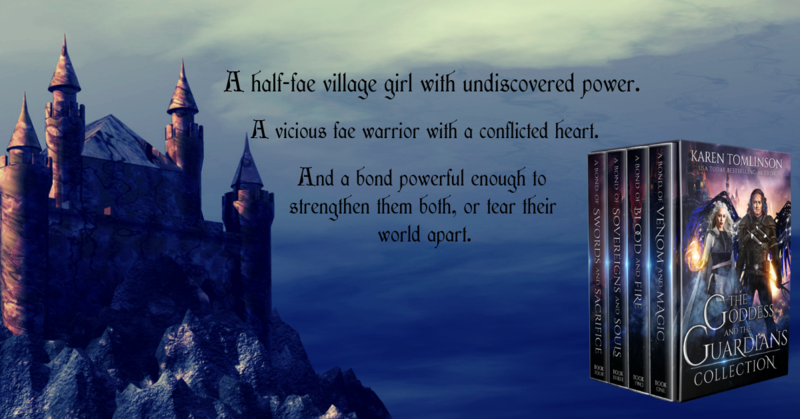 When Diamond Gillon’s home is brutally attacked, she is catapulted into a terrifying, war-torn land where legendary beasts arise, magic is condemned, and half-blood fae like her have no rights. Inexplicably, she is drawn to Commander Hugo Casimir, a ruthless elite guard owned by the cruel, immortal fae queen. Forced by the queen to train her magic, Diamond becomes a weapon. Now she must triumph against the queen’s enemies or see those she loves, die.